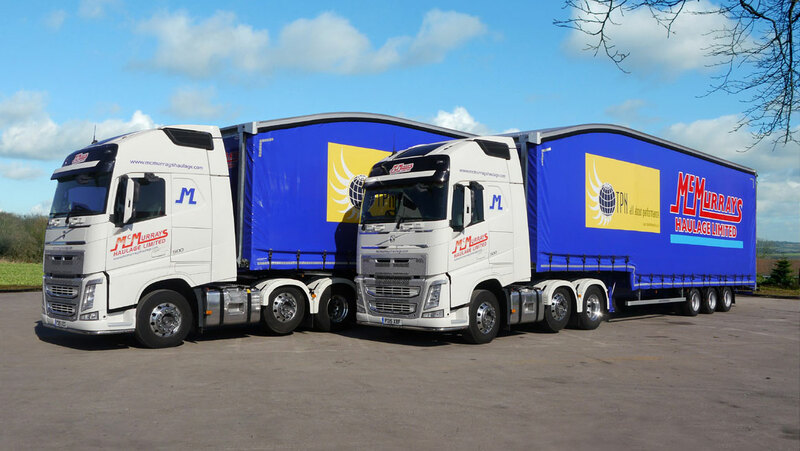 McMurrays Haulage is proud to be a Member of TPN – THE Pallet Network. Using a pallet network, based on a hub and spoke model, for small pallet consignments helps to make your deliveries more efficient, more cost-effective and more environmentally friendly. 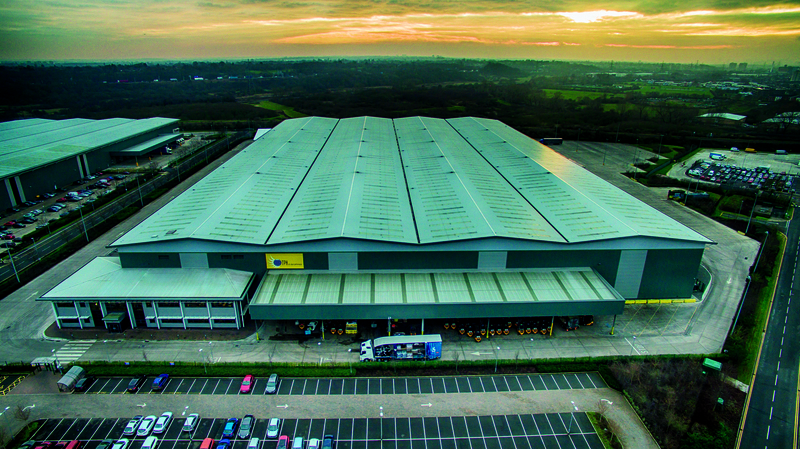 TPN – THE Pallet Network is the UK’s leading pallet network. With more than 100 Members and over 120 sites throughout the UK, it offers excellent service levels for next-day, timed or economy deliveries for any palletised goods. 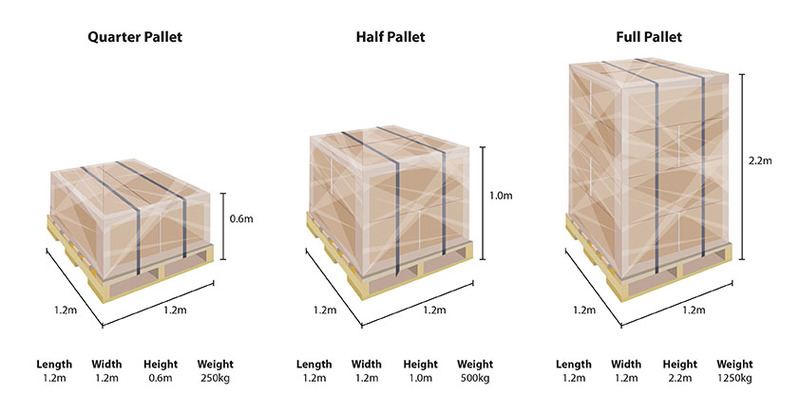 We handle full, half or quarter pallet sizes, and you can see the dimensions on the images below. We can also take oversized freight which requires more than one pallet space. For freight which measures 3m or more in length or width, we have an expert service with guaranteed delivery windows called TPN XL. TPN out-performs any other network in some crucial ways. Its service levels are second to none and, with great IT, excellent regional members and superlative IT systems, its operation is now peak proof. Even when volumes climb, TPN service stays strong. TPN offers unrivalled postcode coverage and national service. Meaning we can send your pallets anywhere in the UK – or Ireland – with complete confidence. 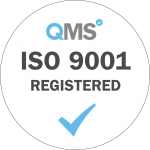 Both Hub and member operations are accredited to ISO 9001 for quality assurance. All TPN Members including ourselves, are rigorously audited every year. TPN’s IT, Connect, lets you enter your jobs online; print your own labels, so you know the details are right; track your pallets all the way to their final destination; and it’ll give you real-time automated updates en route, including the moment your customer signs for their delivery through the award-winning electronic POD system. The TPN App – TAPP – gives you all your pallet network information from your Android mobile or iPhone. TPN has purpose-built Hub facilities in Minworth and two regional Hubs at Preston and Northampton. We have links to Europe and Scandinavia, and TPN.ie, our sister network in Ireland. You can download TPN’s customer brochure here. You can also find out more about us on our website, or follow us on twitter. Customers are welcome to visit the Hub by arrangement with their local Member. TPN – We are THE Pallet Network.